This is a rectangular flange Wolf’s Head Oil porcelain sign. This particular Wolf’s Head Oil sign is green and white with red and white text. 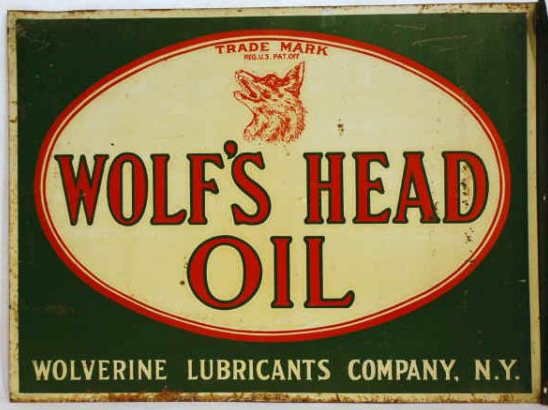 It reads, “Wolf’s Head Oil, Wolverine Lubricants Company, N.Y.” and features a white oval with a red wolf’s head at the top of the sign.